Happy Saturday my friends, and welcome back to the Stamp & Scrapbook Expo blog for another dose of creative fun. I hope you are all having an awesome January so far. It is hard to believe we are approaching the end of the January already. Where does time fly? Today you are sure to be inspired by these wonderful and talented designers. I hope you will take the time to enjoy our blog and create some of the fabulous projects I have to share with you. As always, thank you for sharing part of your Saturday with me. 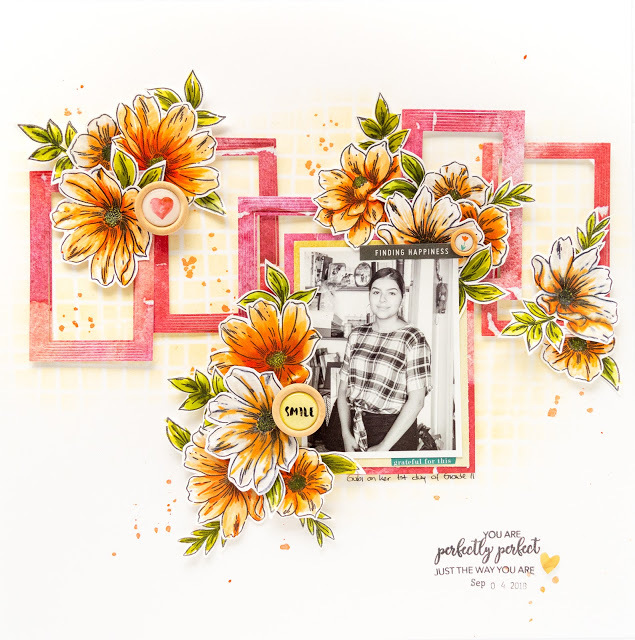 I am so excited to feature Nathalie DeSousa and show you a great layout she created using stamps. You all know that I am a big fan of layering. This is exactly what Nathalie did by using Altenew stamps, dies, stencils, and inks all on one page. There is a lot to be said about turning a piece of white cardstock into a gorgeous layout. I just love spending time looking at videos that share different tips and techniques that I can learn from. 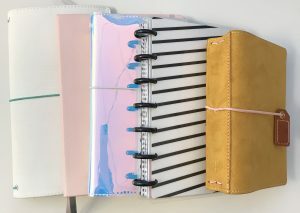 It is so fun to watch how other people create layouts and projects from start-to-finish, so today I want to share this video created by Nathalie. It has been a great learning opportunity for me and I hope you enjoy seeing a few new tips and techniques as well. Click here and I will take you over to the video for you to enjoy. Also be sure and visit the Living An Inspired Life blog where you will see many more of Nathalie’s beautiful projects. 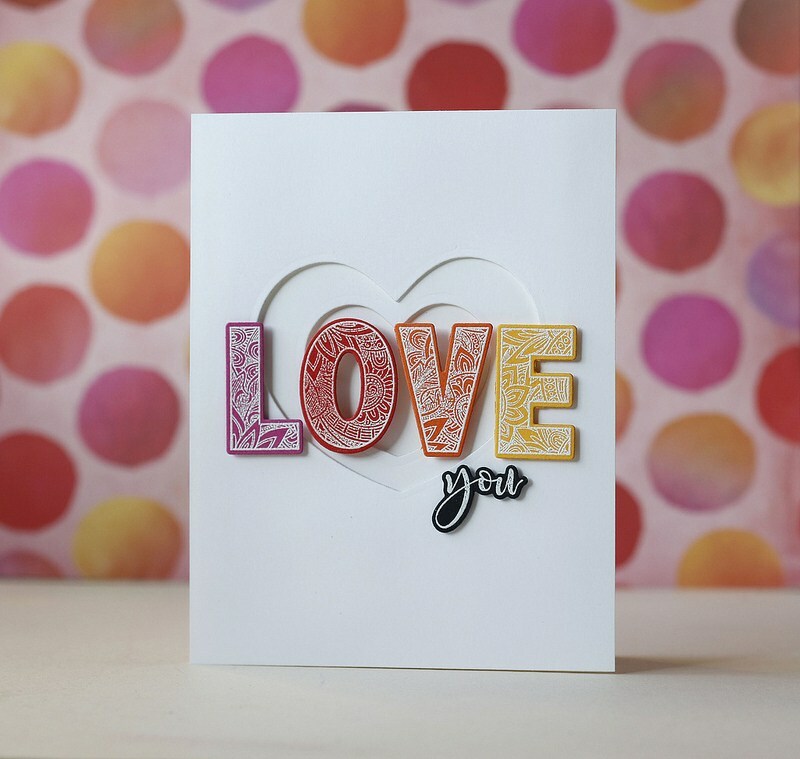 Laura embossed the block letters from Ornate Love in white. Each letter was embossed onto a different color. 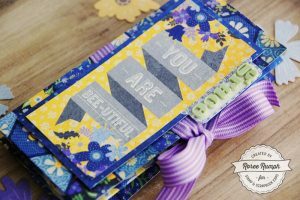 I highly recommend stopping by the Laurafadora blog to see just how easily this sweet card came together. I want to say a big thank you to Laura for being such an inspiration to all of us paper crafters. Share the love by creating beautiful Valentine cards to give to those who are so special to you. You still have plenty of time to get them done. Valentine’s Day is just around the corner and it is time to start getting those Valentine boxes and cards ready. How fun to create a treat box with a built-in card. It’s the perfect place to add a little treat, a gift card, or even money as a gift. 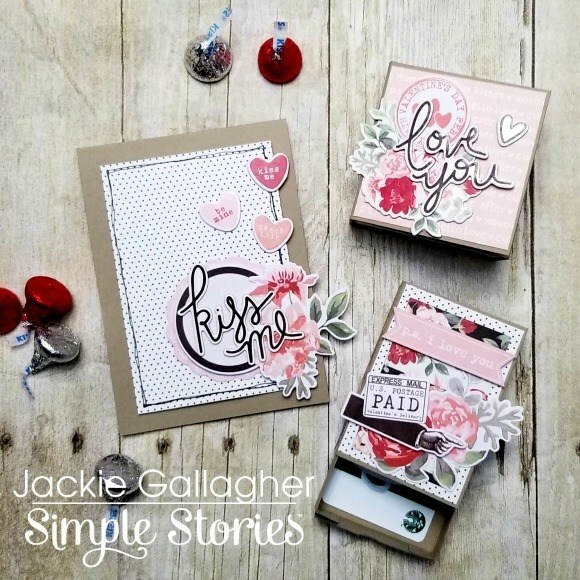 Jackie shares three different types of Valentines that you can make to give to those you love. Valentine’s Day is such a perfect time to express your love and gratitude! 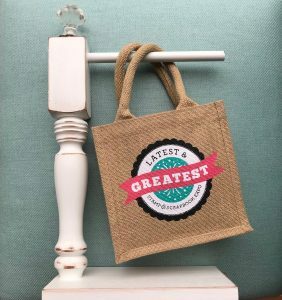 Making these cute gift boxes and cards will certainly get your creative juices flowing. You can turn each inspiring card into a mini work of art. Click here and I will take you over to spend some time with Jackie as she shares just how easily these projects come together. You will be very inspired by her techniques, so I know you won’t want to miss out on this one! Pretty sure that just about anything can be made better by dipping it in chocolate! 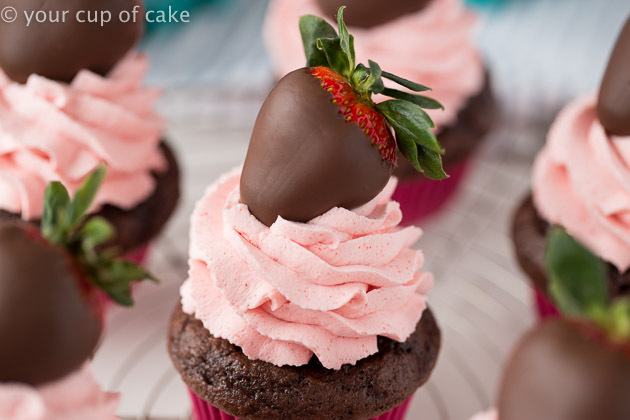 These beautiful dipped chocolate strawberries placed on a chocolate cupcake make the perfect treat for Valentine’s Day. It’s really two desserts in one because the chocolate covered strawberry is a treat all by itself! This is a great way to fancy up a cupcake. Do you want to make something special for your sweetheart, a good friend, or your family? This will certainly put a smile on their face when you give them one of these delicious cupcakes! Let me take you on over to Your Cup Of Cake where you will find more of Lizzy’s wonderful recipes. She is such an inspiration in the kitchen. Not only does she have the best desserts, but you will find yourself making many of her wonderful dinners as well. Enjoy! I hope I have left you today with a smile on your face and a heart full of wonderful inspiration. It is always such a blessing for me to be able to share fun and creative projects with you. Enjoy your weekend and I hope you have a wonderful week ahead. I will see you back here soon! This entry was posted in At Home, Blog, Home Decor, How To, Recipes, Saturdays With LeAnn, Scrapbooking, Stamp & Scrapbook Expo, Stamping and tagged Alcohol markers, Altenew, Built In Card, Chocolate Covered Strawberries, Chocolate Cupcakes, Embossing, Hearts, ink spray, Jackie G Designs, Jackie Gallagher, Kissing Booth Collection, Laura Bassen, Laurafadora Blog, Living An Inspired Life, Lizzy Mae Early, Marker Set E, nathalie desousa, Ornate Love Stamp, Simon Says Stamp, Simple Stories, stamp set, Strawberry Whipped Cream, Sunkissed, Treat Box, Valentines Day, Video Tutorial, Wavy Grid Stencil, Your Cup of Cake. Like the depth of the die cut hearts. What lovely projects all! Can’t wait to try them. I loved the little box with the drawer. The flap with the message under it was especially cute. Can’t wait to make a bunch of them! Jump in Sharon. You will really have fun creating some of these. Wow, those are the cutest. Just adorable. Love the boxes especially! Can’t wait to make these! They are lovely! I love the look of stamping on the die cut letters. I’m going to steal that idea. Would love to try those!! Give it a try Anne, it is a lot of fun! WOW! I love them all. Particularly the love you card. Love the design and the colors used. Great ideas! I’m going to try some of these! The LOVE design card caught my eye instantly! Going to give it a whirl tomorrow. Also the plain white scrapbook page is exceptional …. I was blown away when I read that the page was originally white! The “LOVE” letters are beautiful. What a great card.